Blockchain for businesses: Know it to use it to the fullest! What this technology can do for the benefit of businesses or to improve people's quality of life depends on how the companies and people intend to use it and the constraints they intend to adopt in its development. 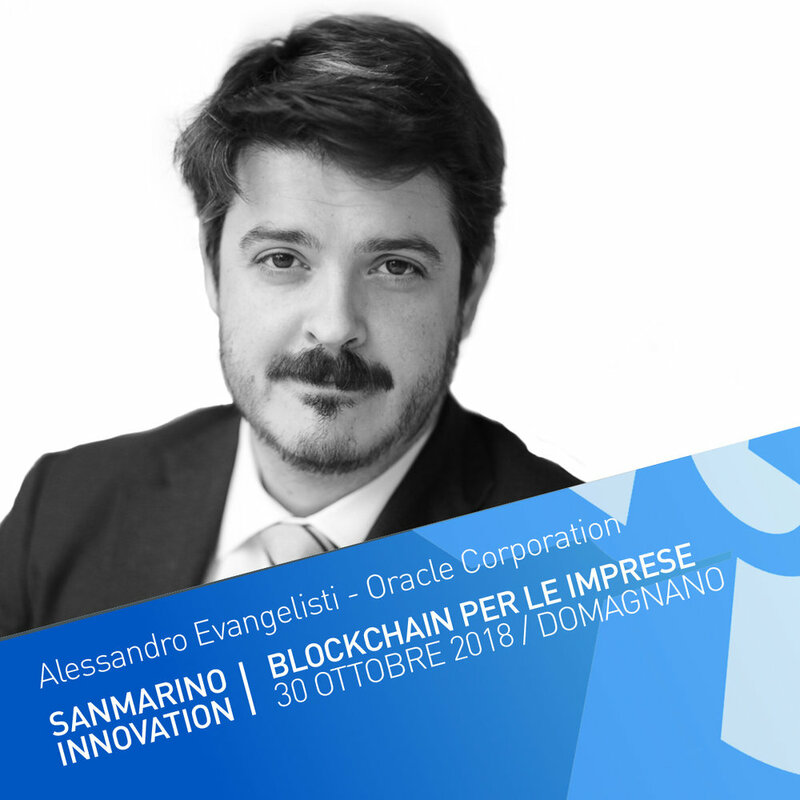 Dr. Enrico Mercadante - Cisco Systems, Inc.
Sergio Mottola, President of San Marino Innovation, will illustrate what has been done and the next steps of the project, which will see the Republic acting as a global hub of blockchain, able to attract companies that want to develop applications based on this technology. The AvantGarde Group, Cerved Group Spa, Cisco Systems, DNV GL and Oracle Corporation will report on the opportunities of this innovative technology and its practical applications reserved for companies already in use in Italy and in the world. Any Blockchain project must necessarily provide an adequate legal and regulatory framework, which is why the Scientific Committee has used the collaboration of leading law firms such as Gattai-Minoli-Agostinelli & Partners and Loconte & Partners that will expose their regulatory proposal. , seen not as a limit, but as a construction of a balance between innovation, people and businesses. The training and information day is aimed at institutions, CEOs, managers and entrepreneurs who want to fully understand how to solve business problems and growth opportunities thanks to the practical applications of blockchain technology.